All states have enacted laws that impose time limits on how long prospective plaintiffs can wait before filing a civil lawsuit against potential defendants. This type of time deadline on filing claims is commonly known as a "statute of limitations." Different types of civil claims (e.g., negligence, malpractice, trespass, slander, etc.) are subject to different limitations deadlines. The limitations deadline for filing a lawsuit for medical malpractice in Pennsylvania is 2 years from when the malpractice was first discovered or should have been discovered. This law can be found in Title 42 (Judicial Procedure), Chapter 55 (Limitations of Time) of the Pennsylvania Consolidated Statutes. 42 Pa. Cons. Stat. § 5524(2). So the 2 years begins to run from the first day that a plaintiff actually realizes that medical malpractice occurred or the first day that a reasonable person under the circumstances would have realized that medical malpractice occurred. Example: John has bypass surgery on his heart at a hospital in Philadelphia in 2012. After the procedure, everything seems to be fine for several years. However, 5 years later in 2017, John suffers a major heart attack and testing reveals that the 2012 bypass surgery was performed incorrectly and drastically increased his risk of heart attack. Even though the actual malpractice occurred back in 2012, John had no way of knowing this until the error was discovered by subsequent testing in 2017. In this case, John's 2-year limitations starts running when the botched surgery was discovered in 2017. John has until 2019 to file his malpractice lawsuit. The example above demonstrates how application of the "discovery rule" can potentially stretch out the limitation period for several years after the actual medical malpractice takes place. However, in 2002 Pennsylvania passed the Medical Care Availability and Reduction of Error Act (MCARE). MCARE created a number of new laws designed to impose some constraints on medical malpractice litigation. One of these news constraints on malpractice claims was a "statute of repose" which effectively caps the maximum length of time for filing a malpractice claim regardless of when it is discovered. Under the Pennsylvania statute of repose, all lawsuits based on medical malpractice claims must be filed no more than 7 years after the alleged malpractice occurred regardless of when it was discovered. Example: Continuing with the example above, let's say John had his heart surgery 2 years earlier in 2010. Everything seems fine for the first 8 years, then John has his subsequent heart attack in 2018 and testing reveals that the prior surgery was botched. In this fact scenario, John's malpractice claims for the botched 2010 surgery will be barred by the 7-year statute of repose. There 2 significant exceptions to the 7-year max deadline under the statute of repose. 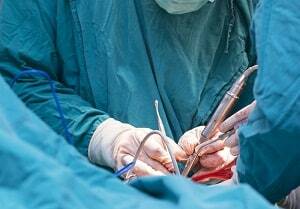 First, the 7-year limit is not applicable to cases where a foreign object is mistakenly left inside the body during surgery. For example, if poor John had his heart surgery in 2010 and doctors accidentally left a sponge or surgical tool inside his chest, he does not have to sue within 7 years. Second, the statue of repose does not apply to claims of minors (i.e., individuals under the age of 18). When the prospective plaintiff in a medical malpractice lawsuit is a child (under the age of 18), neither the 2-year statute of limitations or the 7-year statute of repose deadlines apply. Unlike adults, minors are not expected to make decisions on whether to file a lawsuit for medical malpractice. For this reason, Pennsylvania law "tolls" the application of the 2-year deadline until the minor reaches the age of majority (18). So if a minor has a medical malpractice claim, their 2-year deadline to file a lawsuit will be on their 18th birthday and expire on their 20th birthday. Application of the "discovery rules" is the most litigated aspect of Pennsylvania's statute of limitations in medical malpractice cases. Under the discovery rule, the 2-year deadline for a medical malpractice action does not begin until the time a plaintiff learns, or by the exercise of reasonable diligence could learn, of an injury potentially caused by medical error. This doesn't mean that plaintiffs are expected to have expert medical knowledge or fully understand the nature of the medical negligence involved. Once the plaintiff becomes aware of the injury and the fact that it may have been caused by a doctor, the statute of limitations period begins to run. Moreover, the 2-year deadline will begin to run when there are sufficient to prompt a reasonably diligent person to investigate. For example, when a woman learns she has breast cancer it should immediately alert her that prior mammograms had been misread. So the statute of limitations would begin to run from the time she is first alerted to the fact that she had cancer, not the time that she confirms that prior mammograms were misread. The medical malpractice lawyers at Miller & Zois have represented hundreds of clients in successful medical malpractice cases. We regularly handle medical malpractice cases in Pennsylvania. If you think you may have a medical malpractice case against a doctor or healthcare provider in Pennsylvania, it is very important that you act quickly because you have a very limited window of time. The attorneys at Miller & Zois can advise you as to when your statute of limitations deadline will expire and make sure your case gets filed before that deadline. Calls us 24 hours a day at 800-553-8082 or get a free online consultation.